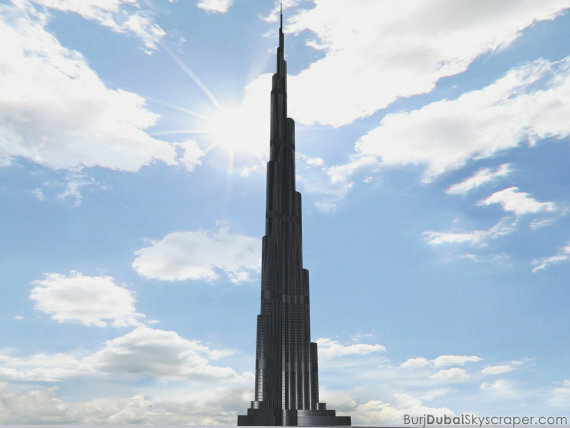 If like a last month, I posted about Top 5 Dubai Secrets, now I will post about another marvel of Dubai city. Dubai is undoubtedly one of history’s most rapidly developing urban centers in the world. It boasts the world’s “largest”, “tallest”, and “most expensive” architectural works in the world. The city of Dubai has transformed itself from a humble port city into a sprawling metropolis fueled by immeasurable wealth. To celebrate its achievements, here are the 5 greatest places of interestes in Dubai. 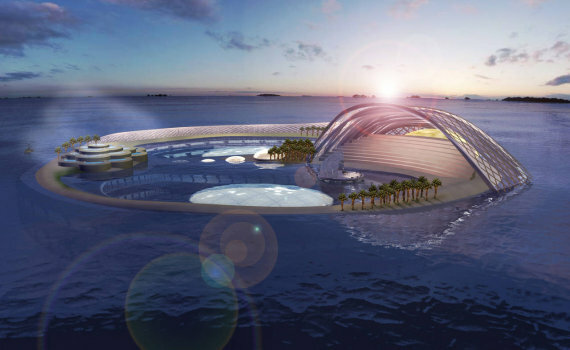 To be built not far from the site of the Burj Al Arab, Hydropolis will be the world’s first underwater luxury resort. It will be constructed 66 feet below the surface of the Persian Gulf, constructed of reinforced steel, concrete and plexiglass. The resort will provide 2,200 underwater suites to its guests and will cost over $1 billion to build. Construction has been delayed, cancelled, re-scheduled and delayed again, so it might be safe to assume the Hydropolis may not be built until later this century, if at all. 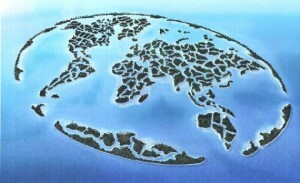 Among the world’s largest man-made archipelagos, The World Islands off the Dubai coast combine for 144 miles of shoreline. Designed as a scaled map of the world broken into over 300 individual islands, The World Islands are among Dubai’s most expensive pieces of residential real estate– selling for between $15 million and $50 million each. It had been rumored that actors Brad Pitt and Angelina Jolie purchased the Ethiopia island, a rumor that was later proven false. At present, Walt Disney World in Orlando, Florida is the largest theme park in the world. When the Dubailand theme park in Dubai is completed, it will be twice the size of Disney World, setting the bar practically out of reach for future developers. This 107 square mile superpark includes 45 “mega projects” and 200 sub projects, including projects from Dreamworks, Six Flags, Marvel and others. 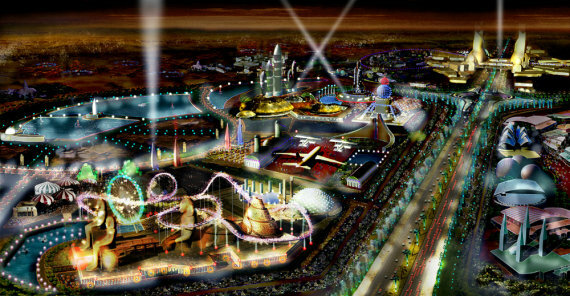 $6 Billion in private capital has been raised to fund the park’s development, with completion on its final phase slated for 2015. Arguably the most recognizable man-made island on the planet, the Palm Islands Jumeirah is a palm frond peninsula fanning out from the Dubai coast. Construction on the first of three Palm Islands began in July of 2001, with residents moving into their homes on Jumeira in 2006. The other two Palm Islands remain under construction and not-yet-liveable, but the existing island, the Jumeira, is deep into residential development. Real estate magnate Donald Trump himself is currently building on the island, constructing the Palm Trump International Hotel and Tower. When residential and commercial projects are complete, the Palm Jumeira will feature a monorail transit system, 4,000 residences and 32 hotels, making it a virtual city unto itself. Что-то давно новостей интересных небыло 🙁 Надеюсь новый год будет для автора стольже плодотворным как и прошлый!! !